Infinix Hot S3 is the lower variant if the Hot S3X, the Hot S3X is the pro version with added features and a bit more expensive. However, both of them are the latest addition to the Infinix Hot Series with notch trend. The Hot S3 has a single back camera and made for those who can't afford the Hot S3X. The Hot S3 is quite impressive with its features and design. And just as expected, this smartphone can offer you everything you seek for from a smartphone with added features like the ability to look the device with your face. 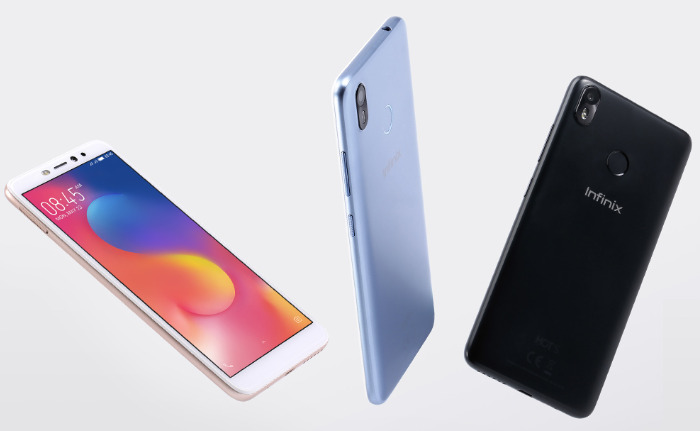 Fortunately, the device happens to be the company’s first shot at the popular 18:9 screen aspect ratio, Qualcomm Snapdragon chipset and Android 8.0 Oreo. It has an impressive specification and launched in at a moderately priced range. The Hot S3 has not been left behind the trend of sleek and notch design. Infinix had to take the time to design this device and it appears beautiful. 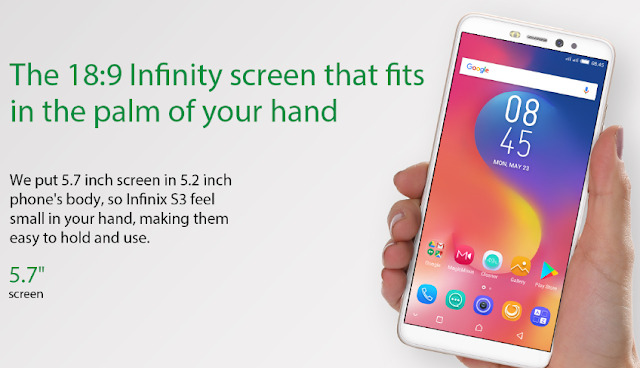 The Infinix Hot S3 features a 5.7 inches screen with Full HD display resolution, the screen has a 2.5D curve at the four edges with a screen resolution of 720 by 1440 pixels and about 285 pixels per-square-inch. Designed with an 18:9 infinity screen that makes it easy for handheld and fits the palm. Designed to allow you to choose your favorite colour. The Hot S3 is available in different colours, Black, Blue, Gold and Silver colours to complement your unique colour. At the side of the device is a 3-in-1 card slot for dual SIM Card and MicroSD Card. While at the back is a single 13MP camera and a fingerprint sensor, and under the device is the speaker and USB charging port. In general, we are very pleased with the design and I think it is very impressive. We are not expecting anything other than a fast performance from this device. Powered by a 1.4GHz Qualcomm SD430 Octa-core processor that is been used by other high-end devices, this device is guaranteeing a fast performance and no nagging even while multitasking. You can comfortably stuff the web and do other things at the same with no issues. 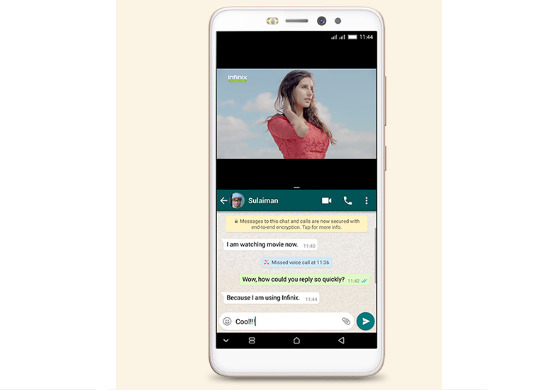 Also, the available 3GB Ram makes it very possible for you to switch between multiple apps and even split window functionality with no worries of the device hanging or slowing down. Also, running the on Infinix's own XOS Hummingbird based on Android™ 8.1 is another assurance of a better performance. As for the Storage, you have nothing to worry because you will never run out of storage space. The Hot S3 has an in-built storage space of 32GB, this is very much enough for the average user. 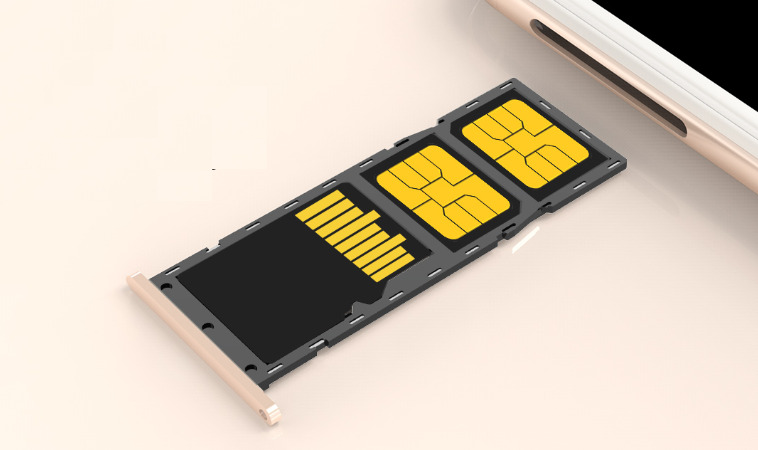 But, in case you want more space, the device has a MicroSD card expansion slot and can carry up to 128GB without any issues. How about those that crave for the quality camera and love taking pictures, it has a powerful and high-quality 20MP front facing camera (a perfect choice for selfie lovers) and a 13MP back camera that empowers you to keep every exciting moment in your device. I love long lasting smartphones and as such, the battery is one of the main things I look out for putting purchasing any device (no matter the specs and features). If I am not pleased with the battery capacity I won't pay for the device. For the Hot S3 battery capacity, I don't think you have anything to worry. It has a 4000mAh battery capacity that can guarantee you a full day use even under heavy usage. For me, I am cool with the battery capacity and I can recommend it for purchase. Other cool impressive features include the 4G LTE. This is very important especially if you like fast internet browsing. For me, I expect 4G LTE to come with every modern device currently because the wait for 5G is over. 5G is finally here. Also, Infinix is security curious and has not only included the fingerprint unlock but also the face ID feature that allows you to lock the device with your face. OTG for fast file sharing using a data cable, Fast Charge support and many other features. The smartphone is not a super expensive one. Tagged as a middle range smartphone, so you don't expect the price to be heavy. It was launched with a price tag of between 53,000 Naira to 60,000 Naira but the price may differ depending on your location. Finally, I would recommend this smartphone for anybody looking to get a new smartphone. Considering the price, the device is worth spending on. But in case you need the Pro version (the version higher than this one, the Infinix Hot S3X). You can see that before you decide.